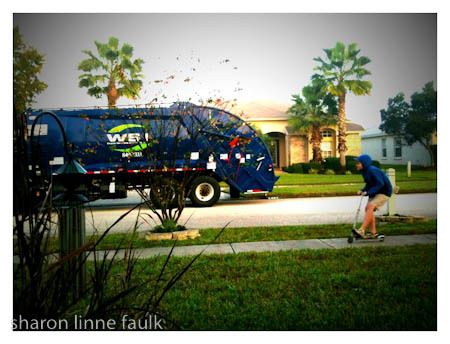 Andy is chasing the garbage truck on his razor. Well, more like following along on the sidewalk. I feel achy today like I spent the night drinking. I had ONE beer. I should have had water. I had to take more ibuprofen during the night.